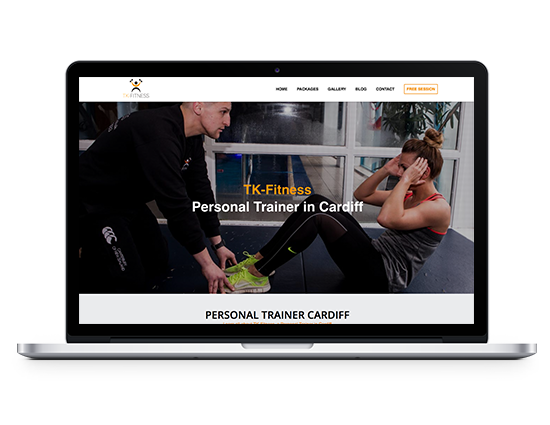 TK-Fitness initially came to us as we were carrying out their social media marketing, but after explaining to them that their website could do with a redesign to improve their online conversions we got working on a new website. Their new website not only looks better but it is built to generate more leads for the business and in doing so we achieved that goal. The design goal of the website was simple, we were going to design a website which would generate more leads for the business. 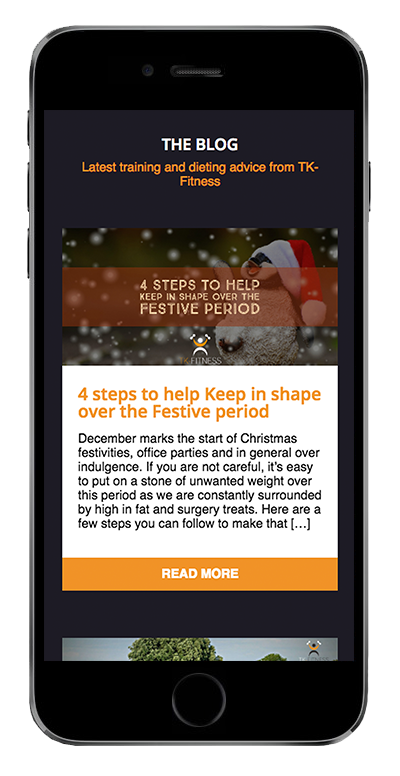 We used our experience to design a website that would incorporate features into the website with the sole purpose of converting more visitors into clients. We believed the old site had some redeeming features, such as the logo and the colour palette so we kept them but we made the layout more user friendly and built the site in such a way which would push the visitor to the businesses offer on every page. The old website was missing a call to action and because of this the business was missing out on potential leads. We designed and developed the website in such a way that would generate more leads for TK-Fitness. The old website didn’t work well on mobile devices. We changed this because we knew it would improve website conversions and also help with search engine positioning. The new site that we created for TK-Fitness now works well on all devices and because of this visitors are now turning into customers at a much higher rate than before. TK-Fitness also love the fact that they can manage bookings right from their phone without paying for any additional expensive software. 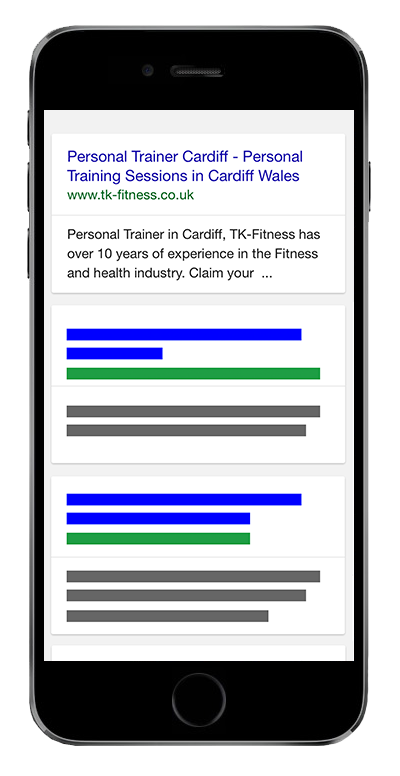 Personal training in Cardiff is a competitive niche, even so we were able to take TK-Fitness from the depths of the Google searches onto the first page for some of their keywords. Being on the first page of Google for their main search term that has over 700+ searches a month has allowed TK-Fitness to pick up more clients than ever before. 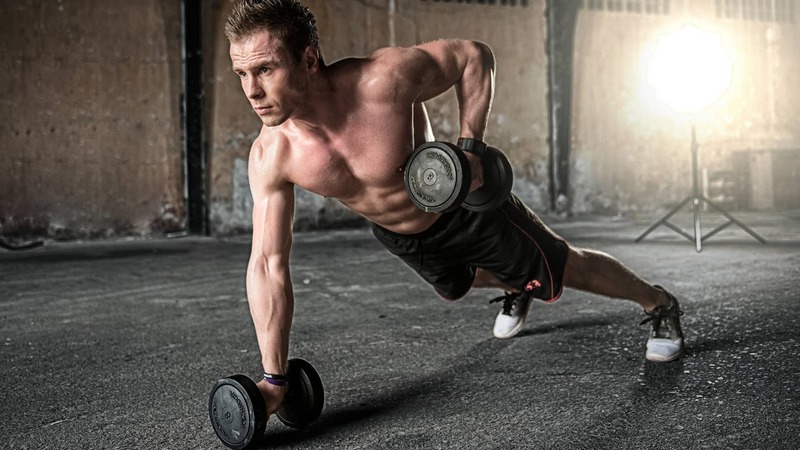 TK-Fitness also ranks for other secondary keywords which also generate leads for their business.